Living in the Mediterranean soft breezes that embrace your cheeks gently is what you need to think for your next vacation. Only the sea can listen to you when you are seeking for complete secrecy and absolute privacy. Our company in her Luxury yacht rental marmaris department offers to you numerous options for your coming holiday. 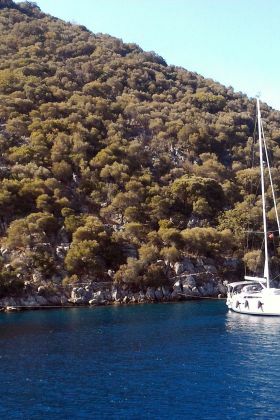 Hundreds of yachts are there in our luxury yacht rental Turkey in marmaris portfolio which means that you will have nice options for your coming cruising. You will consider how many guests you would like to host on board of your yacht, so that you can choose the suitable yacht with the number of cabins that seat your guests comfortably. Wedding parties, university journeys, honey moons and many occasions are held on board of a luxury yacht rental marmaris. Some university students prefer to share the expenses of such chartering to pay less and enjoy the company as well. In fact, we have luxury yachts of different sizes that seat and suit all.